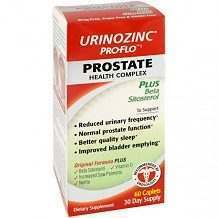 According to the manufacturer, Urinozinc is designed to help improve prostate function, to regulate urination and to reduce pain or discomfort when urinating. 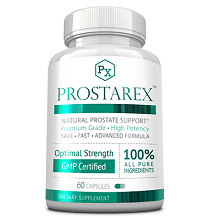 The company also claims that the ingredients used for this supplement were chosen for their abilities to improve the overall prostate health. If you are considering this product, read on for all the details and our take on it. We researched the ingredients used for Urinozinc and were impressed by the fact that the people behind this product chose components that can actually help with prostate function. For example, zinc is needed for sperm formation, testosterone production and prostate health, while saw palmetto extract has often been used to address any issues with the prostate. The pumpkin seed extract, on the other hand, helps reduce an enlarged prostate. The rest of the ingredients have their own unique abilities that are linked to improving one’s prostate function. The recommended dosage is two capsules of Urinozinc every day. There is no indication as to when you should take these capsules which means it depends on your preferences. The company recommends that you take this supplement for up to three months to see and experience the best results. There are no known side effects associated with using Urinozinc. This may be due to the fact that this prostate dietary supplement makes use of natural ingredients to promote better prostate health. At the time of our review, you could purchase a package of 180-count Urinozinc (a 90-day supply) for $40.02 on Amazon and $42.99 at Walgreens.com. According to the manufacturer’s website, Urinozinc comes with a 100% satisfaction, full-money back guarantee. However, there are no additional details so we don’t know how long you have to return an order nor do we know if you can return open bottles. What we like about this supplement is its choice of ingredients which are not only all-natural but are also found to provide numerous benefits for the prostate. Its Amazon customer ratings are good with 77% and 12% negative from over 160 reviews as of the time or writing. However, the price is high and the refund policy is unclear. We’re also not thrilled with the three-month treatment time frame. All in all, we think that this product is useful for those who are looking for a prostate supplement that will fit their budget.